As part of our series of articles on how World War II changed forever the countries that fought in it, Rita Pálfi looks at Hungary, an unwilling participant in the conflict but forced to join the Third Reich before a brutal Soviet occupation that felt anything but a ‘liberation’. Pál Teleki, Hungary’s prime minister when the war began, wanted to keep the country a “non-belligerent” nation. He led Hungary into the Tripartite Pact (an agreement between Germany, Italy and Japan) in November 1940, and a month later signed a “Treaty of Eternal Friendship” with Yugoslavia, whose fighting factions were torn on whether to join the Allies or the Axis. When Hitler asked Hungary for help with the invasion and occupation of Yugoslavia, Teleki found himself forced to choose between the two sides in the war. Realising it was a lose-lose situation, and collapsing under the pressure, he shot himself. Britain considered his desperate act as a declaration of anti-German sentiment, and until the end of the war an empty seat was kept for Teleki in the Parliament in London. Churchill wrote, “His suicide was a sacrifice to absolve himself and his people from guilt in the German attack on Yugoslavia.” Teleki was succeeded by László Bárdossy and on the April 11, Hungarian troops entered Yugoslavia. We have become word-breakers—out of cowardice—and broke our promise of the eternal friendship agreement based on your Mohács speech. The nation senses that we have cast away its honor. We have sided with the villains because the atrocities they reported are a pack of lies. There were none against Hungarians and none evenagainst Germans! We will be robbing a corpse! We will be the most mis-erable of nations. I did not hold you back. I am guilty. Hungarian troops took part in the Nazi invasion and partition of Yugoslavia in 1941. In January 1942 they conducted brutal anti-Partisan raids in which they killed over up to 4,000 civilians, mostly Serbs and Jews, in the Novi Sad region. 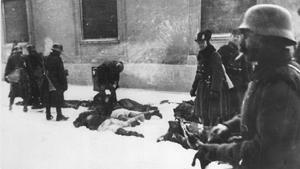 In 1943 the Hungarian government investigated the massacres and the leaders responsible were sentenced to death. But when Yugoslav partisans recaptured Vojvodina they began a mass and systematic revenge execution of ethnic Hungarians: around 40,000 civilians were tortured and killed between October 1944 and May 1945. 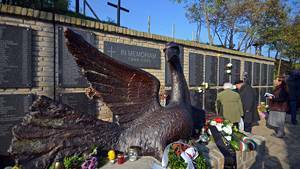 It was not until June 2013 that the Serbian Parliament condemned these massacres and the application of the principle of collective guilt against Hungarians in Vojvodina. In response, Hungarian President János Áder apologised in Belgrade for the war crimes committed against civilian Serbs and Jewish people. Miklós Kállay was named prime minister in March, 1942 on the promise that he would pull Hungary out of the war. In the hope of reaching peace with the Allied Powers, Hungary refused to deport Hungarian Jews, while conceding to German demands to provide troops to the Axis’ cause. Hitler, however, was aware of Hungary’s intention to make peace with the Allies, so before the negotiations could come to fruition, Germany invaded Hungary on the March 19, 1944. The Reich kept Horthy on as head of state to “preserve appearances” but seven months later he attempted to seek an alliance with the Allies. 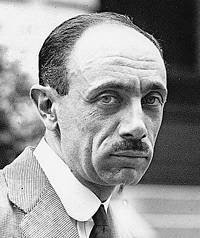 He appointed a new prime minister (Géza Lakatos) who was loyal to him, rather than the Nazis. Despite Horthy’s staunchly anti-communist stance he had to sign an armistice with the Soviets. In October 1944, on the same day Horthy announced on radio that Hungary was quitting the war, the Nazis invaded Hungary and placed the Nazi-leaning Hungarian Arrow-Cross party in power. Horthy abdicated and declared the Arrow-Cross party legitimate, his hand forced by the kidnapping of his son by the Nazis. 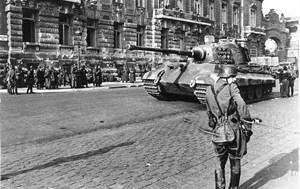 With the Soviet army approaching, Hungary was being ruled by a puppet Hungarian-Nazi regime. 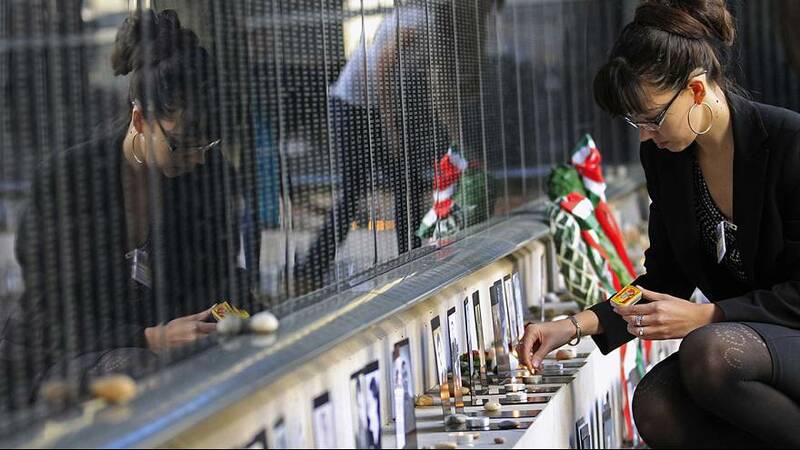 By finishing on the losing side of the conflict, it killed the dreams of uniting the ethnic Hungarian people who had found themselves dispersed across central Europe by border changes after World War I. Between 1941 and 1945 more than half a million Hungarian Jews – two thirds of the country’s Jewish population – were killed. 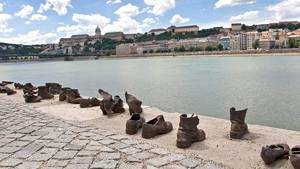 Although Hungary was fighting on the side of the Third Reich, the country had resisted the mass deportation of Jews; until 1944 the number of Hungarian Jewish victims of the Holocaust, while still numbering in tens of thousands, was relatively low compared to other Nazi-occupied nations. In Hungary, the lives of Jews were restricted in terms of who they could marry and what jobs they could do, but for the most part they were surviving. 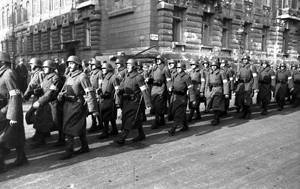 That changed radically when Hitler sent German troops to occupy Hungary in March 1944. In less than two months from May 15, 1944, more than 430,000 Jews and other minorities had been transported to Auschwitz, the largest deportation of the Holocaust. 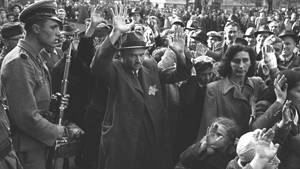 By the time Horthy ordered a halt to the deportations, the only Jews left in the country were in Budapest, where they were later corralled into two ghettos. An estimated 15,000 were executed by members of the Arrow Cross during the catastrophic siege of Budapest that started in October, 1944 and ended the Nazi occupation. Along with the Holocaust, the Battle for Budapest remains one of the worst tragedies suffered by Hungary in its history and one that still marks the national consciousness today. 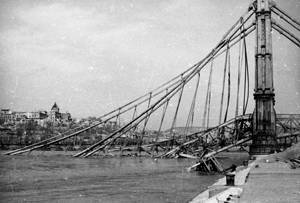 Half a million soldiers from the Soviet Army, backed by 1,500 tanks, began its attack on the city on October 29, 1944. Hitler ordered German troops to hold out at all cost, although knowing they would receive little mercy from the Red Army, it is unlikely many German soldiers would have surrendered. The battle was therefore a desperate affair and lasted 110 days, making it the third longest siege of the war after Leningrad and Stalingrad. An estimated 120,000 people died through fighting, starvation and sickness, with the death toll shared equally between defending troops (German and Hungarian), attacking troops (Russian and Romanian) and civilians. 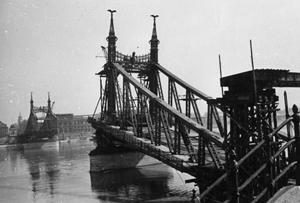 Around 80% of Budapest’s buildings were destroyed or damaged and all of its bridges were demolished. Even once the Nazis had been defeated in the city, the horror continued for Hungarian civilians: the Soviet occupation was no better than the Nazi one. Half a million Hungarians were transported to Soviet labour camps and tens of thousands of women and girls were raped. 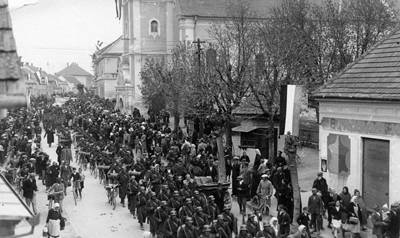 The war had ended for Hungary but another, longer period of suffering was beginning. 9. Fortepan / Kramer István dr.
10. Fortepan / Kramer István dr.